Organic chocolate has really taken off, worldwide. Just a few years ago, organic chocolate was practically unheard of. 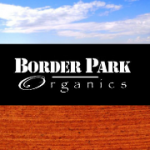 Only committed organic eaters would take the time to search for organic chocolate. 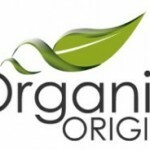 Now, there are many brands to choose from, with each brand making many different types of organic chocolate products. The taste that most people associate with chocolate is actually not the taste of chocolate – it is the taste of sugar, milk, vanilla and other spices mixed with the chocolate. Chocolate and cocoa are made from the Cacao bean. Most chocolates now are highly processed and are made from a little cacao bean and a lot of refined sugar, milk, artificial flavours, fillers and vegetable oils. All these additives are much cheaper than the cacao. Since the flavourless cocoa butter is cheaper than cacao paste, manufacturers raise the quantity of that to avoid having to use more of the more expensive cacao paste. Traditionally, chocolate was made from ground cacao bean. In this state it is full of antioxidants and minerals. The Cacao tree (Theobroma cacao) is an evergreen tree that grows up to 8 metres. It originates from a rain forests environment and is best grown in a multiple layered agroforestry system. It thrives in the semi-shade and high humidities, but wild varieties also occur in areas from Mexico to Peru. The beans, which are actually seeds, are found in large pods (up to 30 cm long). The seeds are the size of lima beans, shaped like almonds and they range in colour from light brown to purple. The seeds or cacao beans are the raw material from which chocolate, cocoa and cocoa butter are made. Chocolate was eaten for its health properties. The Mayan Indians and the Aztec Indians are recorded as the first people to cultivate cacao beans approximately 3,000 years ago. It is believed that the Cacao tree is native to the Amazon river basin. Montezuma, Emperor of the Aztecs, is said to have consumed regularly a product called ‘chocolate’ made by roasting and grinding the cocoa nibs, followed by mashing with water, maize, annatto, chilli and spice flavours. The cacao beans were valued so highly throughout Mesoamerica that they were used for many centuries as currency. The most common way to consume the cacao bean was mixing the ground bean with hot water. The Aztecs called this drink Xocoatl. The original chocolate was made directly from the cacao beans and, because the cocoa butter and other ingredients hadn’t been extracted, it contains all the natural antioxidants and minerals inherent in the cacao bean. Most chocolate made today is made from cocoa butter (the fat oil in the cacao bean), cocoa powder (the residue left over from pressing the cacao beans), and chocolate liqueur (the ground bean). By refining the cacao bean into these products and then remixing them in different formulations and adding milk, sugar, vegetable oils etc, many of the natural health benefits of cacao are lost – it become a highly refined product. White chocolate that is made for people who are allergic to Cacao. It contains no Cacao. Most white chocolate is cocoa butter, sugar, milk, and vanilla. It contains no cacao. The fact that white chocolate can taste like chocolate is an indication of how little cacao is in chocolate today.